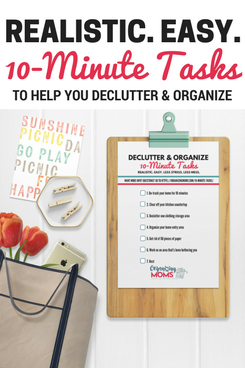 As the holidays approach, we often feel like there are a million things we HAVE to do. In reality, most of these things are tasks we put upon ourselves. It’s up to us to decide what’s important and worth our time and energy. 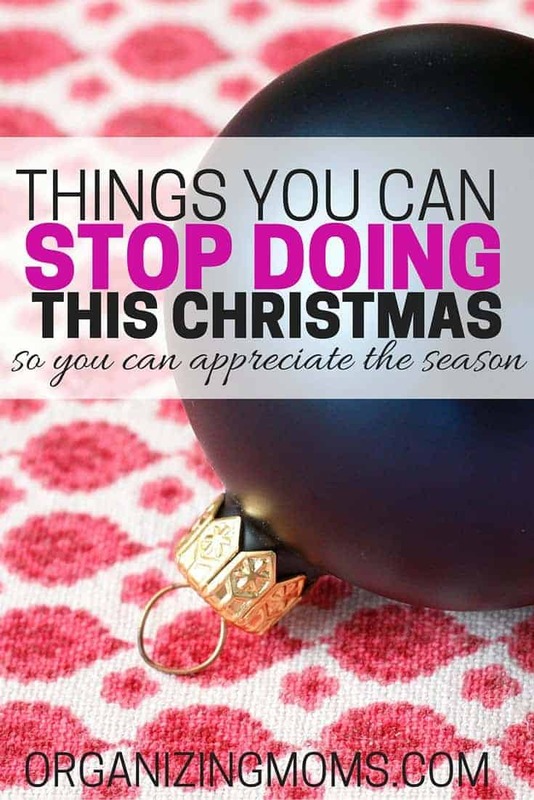 There are many things you can stop doing this Christmas, and still celebrate, enjoy, and appreciate the season. Massive decorating. A few favorite decorations, or even no decorations at all, are just fine. Extreme baking. Not required. If you feel the need for holiday sweets, you could always pick up a bag of colorful candy and put it out for everyone to enjoy. Shopping ’til you drop. Do your shopping online instead. Or, treat everyone on your list to a gift card. A huge tree. Real or fake. It’s not mandatory. Christmas cards. There are other ways to share the season with others. Gaining weight. If you’re serious about this, you can try to get to 10,000 steps each day, or avoid temptation by doing the Whole30 during the highest-calorie time of year! Worrying about gaining weight. If you’ve always worried about this during the holidays, it’s okay to let yourself enjoy some goodies this year. Feeling obligated and aggravated. Say no to activities that will take you away from your family and important holiday plans. Even if those plans are staying at home and watching Elf with your kids. Rushing around. Make a holiday game plan and stick to it. You’ll get to do the things that are important to you during the season. Spending too much. Make a gift list ahead of time so you’re not tempted or guilted into overspending. Please note that the items above are simply suggestions. I know that I love doing a lot of the things listed above, and I plan to keep doing them. But, if it’s time for you to let go of some of these activities that are taking your focus off the true spirit of the Christmas season, go for it! Keep what’s important to you and your family, and let go of the things that make the holidays stressful. 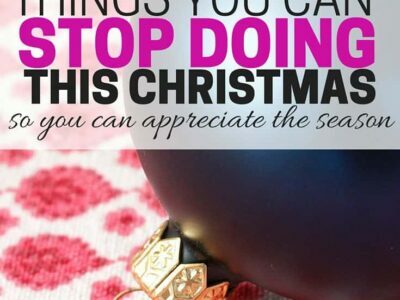 What would you like to stop doing this holiday season? What would you like to do more of? 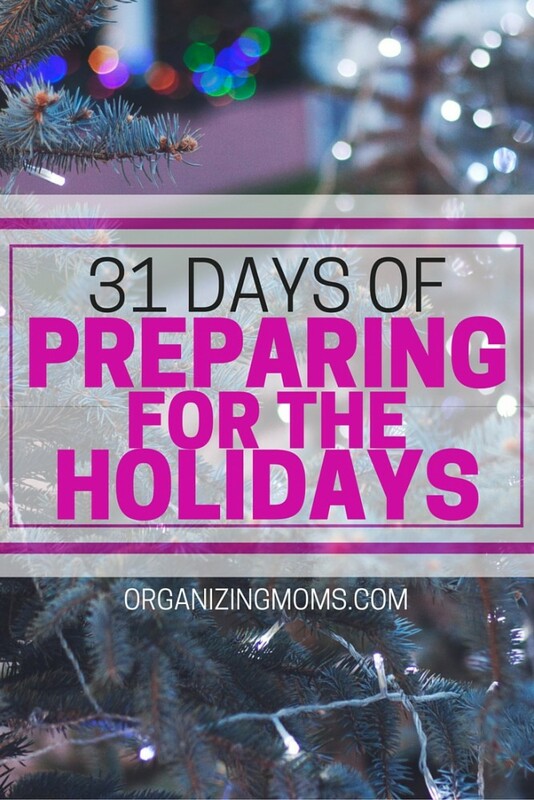 To see links to all of the posts in the series, go to the Preparing for the Holidays page.